Earlier this year I featured Mike Mayhew's re-creation of Steranko's famous X-Men 50 cover with Polaris. 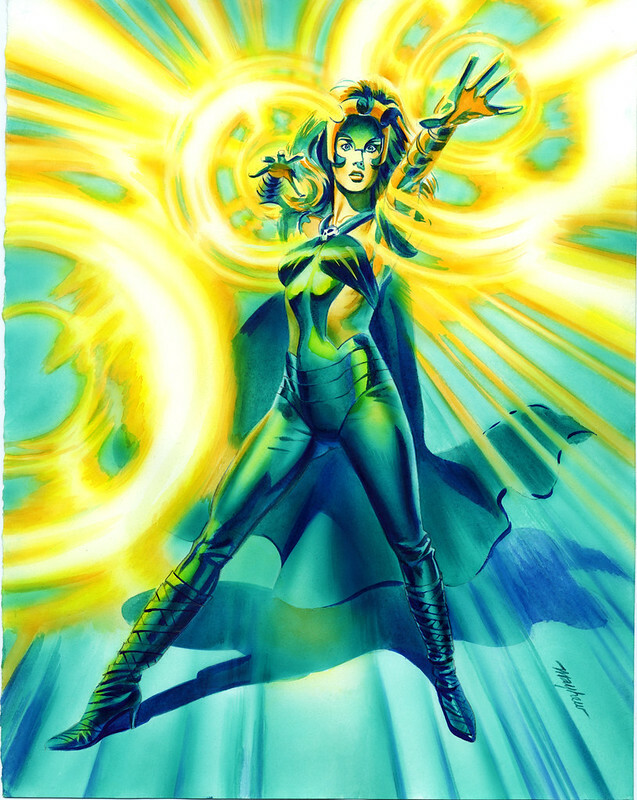 Here's another take on the green goddess using her magnetic powers to save the day. Reminds me of a panel in one of Neal Adams X-Men issues. Check out Mayhew's deviantART page for more spectacular artwork! Nuff Said. Really cool picture of Polaris.